3 Beds 1 Bath 1,312 Sq. ft.
European style alley street in the heart of Historic Bolton Hill. 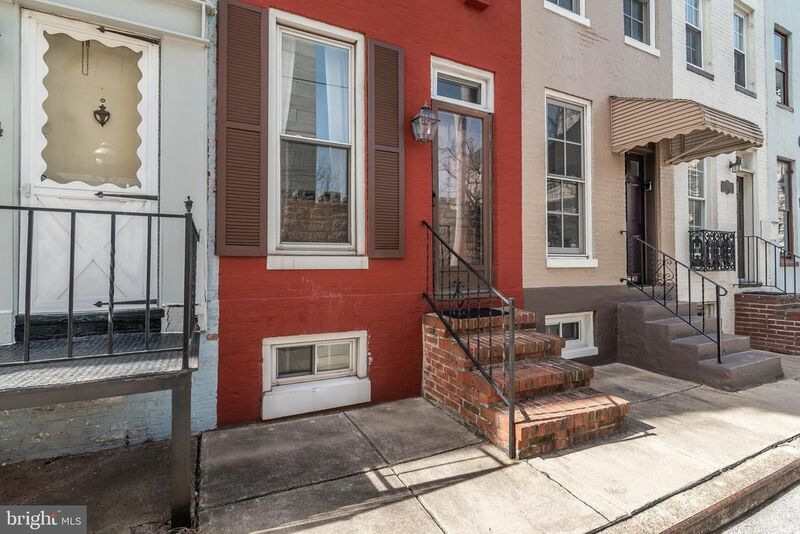 Conveniently located steps to MICA, Penn Station, MARC Train, Hopkins Shuttle, Light Rail and U of Baltimore. The location doesn~t get much better than this. This10ft wide home is bigger than she looks. 3 Bedrooms, 1 Bath, Additional Room in the basement for office or den plus additional basement storage and laundry room. Exposed brick, original wooden beams, renovated kitchen with lots of counter space and a quaint patio for entertaining. Central AC, Gas Heat, Roof recoated '17. HWH '17, New Windows, New Carrier HVAC, Whirlpool Dryer '18. This will not last long.